What is your Money Sign? Ancient Gods & Goddesses have been representing the full range of attributes, personalities, and behaviors humans are capable of since the beginning of times. Though magical, mysterious, grand and almighty; our ancestors looked up to their deities when searching for answers about the universe. 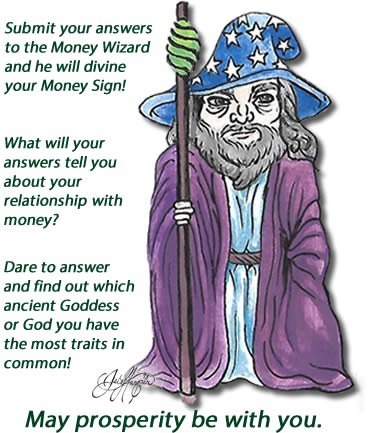 The Mythological Money Symbol quiz will guide your discovery of the powerful forces behind your relationship with Money. There’s no good or bad, only infinite aspects of human –and Godly-- nature. Like the gods, we evolve, change and get to decide which path will serve us best. Find out your Money Sign now. Start the quiz below.